It is always an honor when we get to be a part of more than just the wedding day. Our sweet bride, Jahana invited me to her bridal shower/henna party! I attended the party along with fellow industry friends Arlene, LaVey, and Janine. The party was decked out in beautiful bold colors, delicious food, and of course, henna! 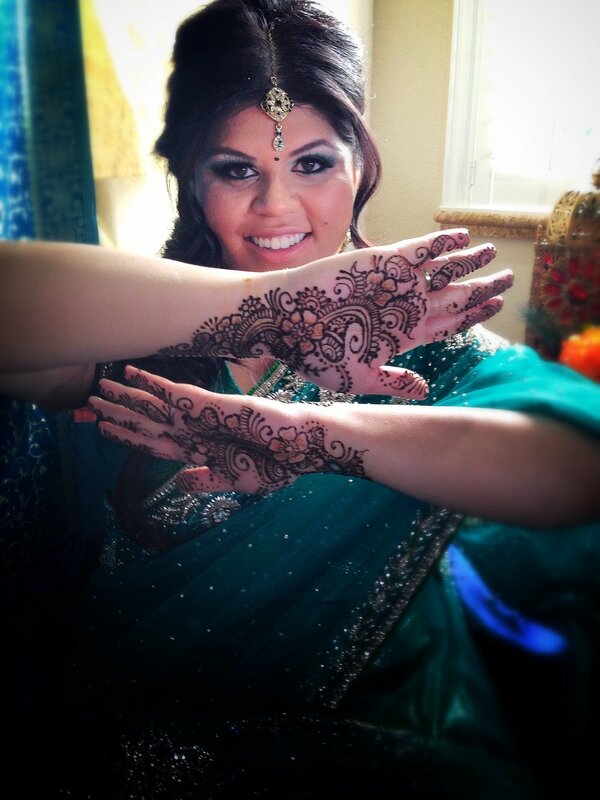 Ash of Mendhi Henna traveled from California to provide the henna services for Jahana's party. Ash is beyond talented and a total sweetheart. We asked her a few questions about henna and a few questions about herself! How far in advance should a bride get henna done before her wedding? At least 2-3 days before the ceremony. This allows the stain to darken up to its deepest color which is that rich, reddish brown color. Bridal henna would last 2-3 weeks if taken care of properly. Do any of the designs represent anything? How long have you been doing henna? It's been about 12 years professionally, however, I have been into it since I was a little girl. What is the farthest place you have traveled to, to do henna? Near Cancun, Mexico about an hour away in a city called Quintana Roo. The resort was called Barcelo Maya Palace. It was the biggest wedding I have ever done! Both parties were Indian; bride was from Jamaica and groom from Belize. If you weren't a henna artist, what would you be? Probably some boring job in a cubical trying to pay bills haha if anything I always wanted to own my own cute shop with girly nicknacks like candles and decor for the home. 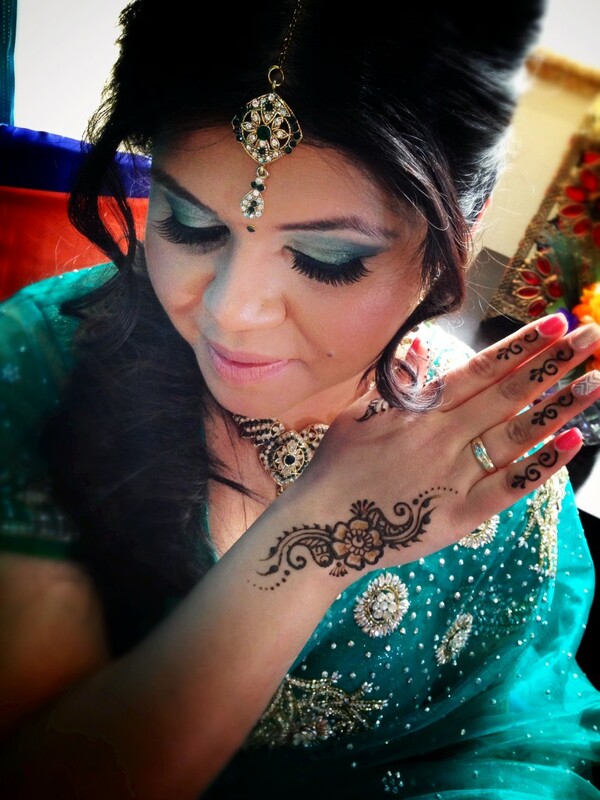 Here is our beautiful bride Jahana and her henna. Do you see the groom's name placed in the henna design? To inquire about henna for your event please check out Ash's website!